Some highlights from our new site include the addition of a new CLIENT LOGIN which gives you access to all those pesky handouts we give out. No more carrying around a folio of handouts. 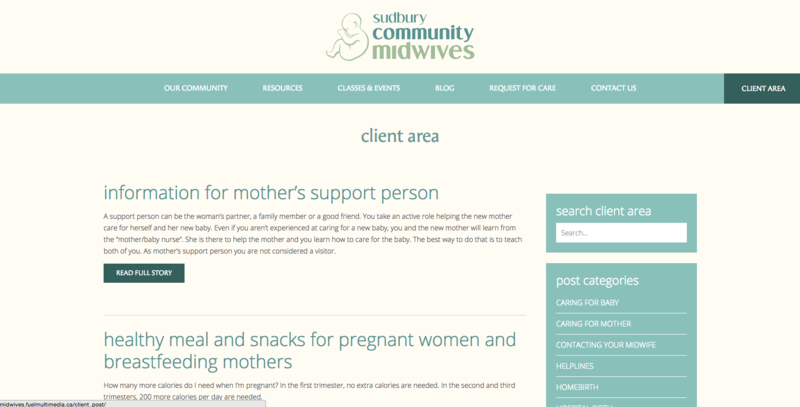 With a simple login provided to you by your team of midwives, you can access important information such as when and how to page,what to expect in the first few days with your new baby,what supplies to have on hand etc.We also have many links to useful on line resources. The list goes on and on. Please browse our site and give us feedback when you are in for office visits. We are also excited to blog about topics that interest you! This is new to us though so please be patient! Keep in mind that while medical advice will never be given via blog,we sure hope it will give you food for thought and when appropriate head you towards some useful resources. If you have topics you would like to see covered then please visit our facebook page and make a suggestion.